Tracking stations use radio signals to determine orbits of GPS satellites. Command center transmits orbital data, time corrections, and location of other satellites in the GPS constellation. 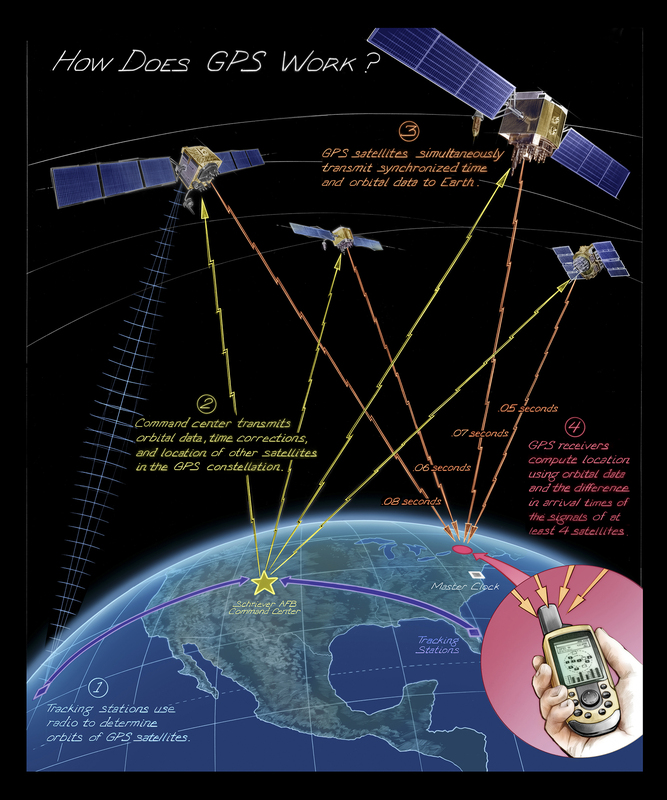 GPS satellites simultaneously transmit synchronized time and orbital data to Earth. GPS receivers compute location using orbital data and the difference in arrival times of the signals of at least 4 satellites. From maintaining infrastructure, transporting goods, delivering services, or just meeting friends, people often use technology just as sophisticated as that used by pilots and soldiers. How does it work?